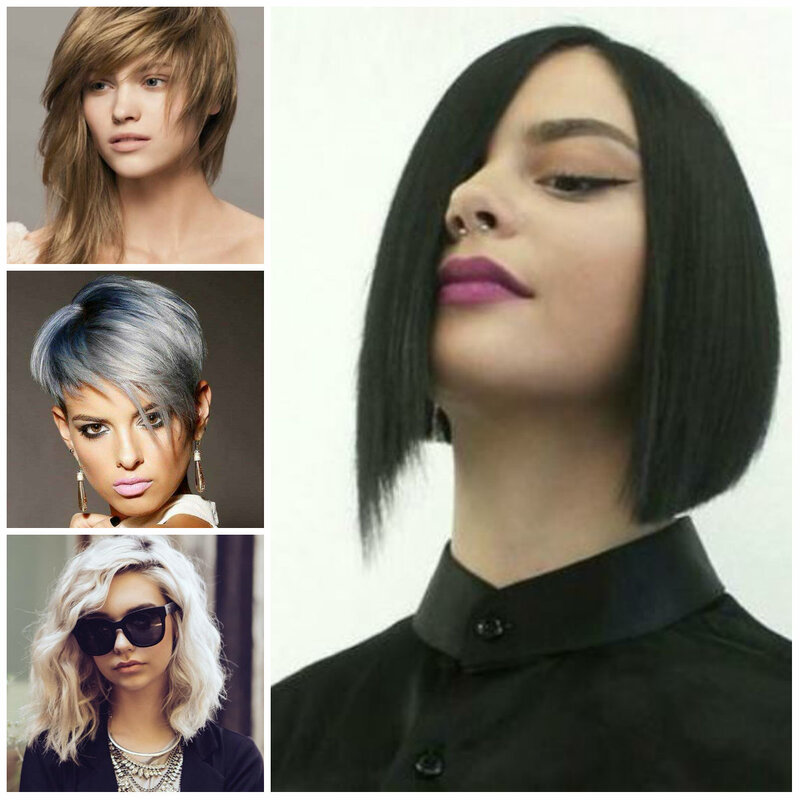 While some asymmetrical crops use edgy layers this particular bob is sleek and silky smooth. Apart from asymmetric side there is nothing else that is extreme. 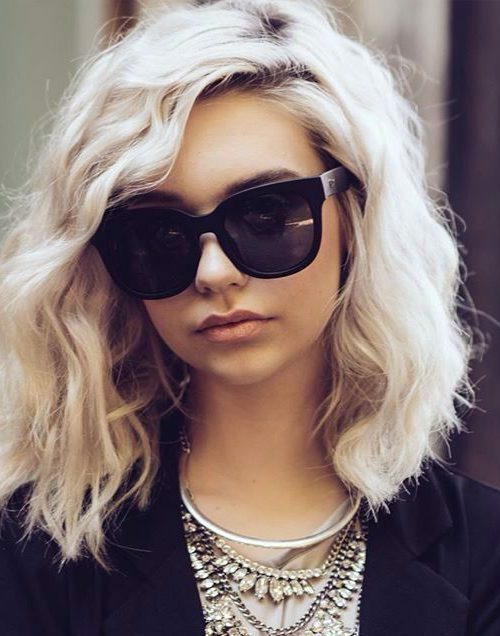 It has a chin-length bob on one side and a bit longer on the other. 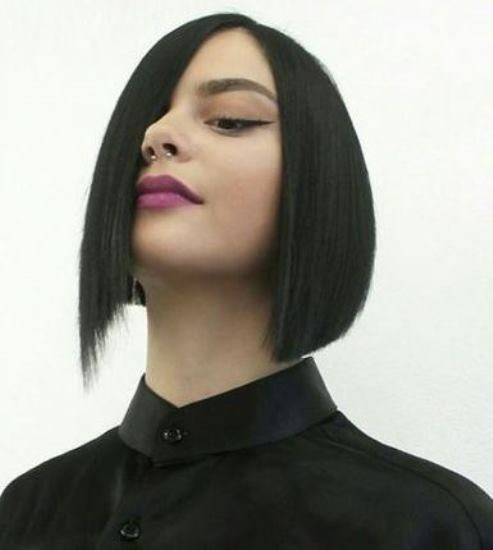 It is the coolest example of what a stunning unbalanced bob should look like. If you like it, show this particular picture to your stylist for a better understanding. This short haircut has been layered to create a funky headdress. Both the asymmetrical bangs and pink hair color are simply mind-blowing. 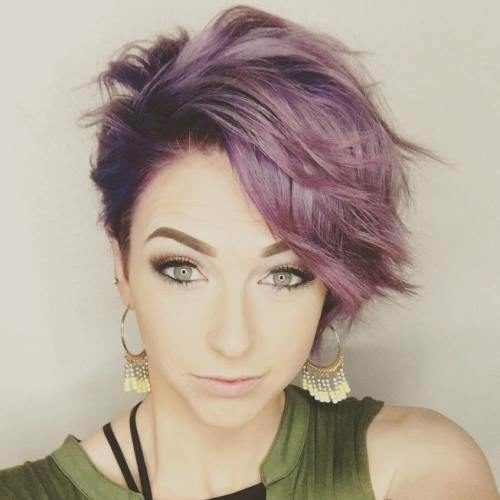 This example proves that short hair and vibrant hair colors work really well together.